Do you want your backyard to feel as if you stepped out into a vacation location? 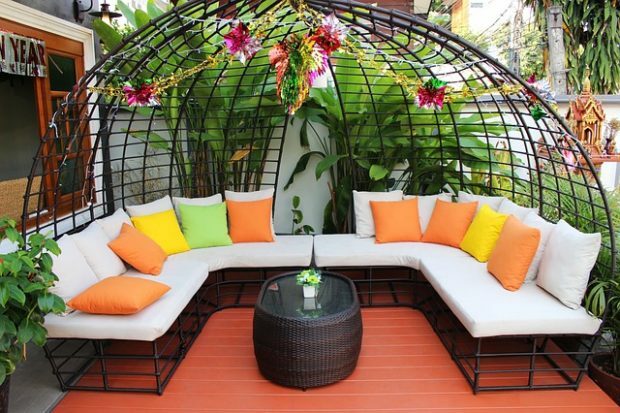 Transforming your backyard into a tranquil outdoor oasis gives you a place to relax after a hard day at work. It can feel expensive to transform your backyard. So, if you are ready for some zen but don’t have a lot of cash, try some of these simple tips to turn your backyard into a tranquil oasis. First, think about what you want this area to look like. Do you prefer neutral colors that will help to quiet your mind during your morning yoga session? Or, do you prefer a colorful space to reflect your personality and lifestyle? Creating an overall theme helps you make a solid plan. You can’t have an oasis with a dead lawn. Learn how to take care of your yard. A healthy lawn provides a bright green pop, which will look lovely against any color scheme you selected. Learning how to take care of your yard adds home value as well! That last thing anyone wants to see is a brown, dormant lawn. Leave the grass taller during the summer to allow the roots to grow deeper in search of water. Let the grass clippings lay on the yard after you mow. Grass clippings decompose and spread nitrogen throughout the soil, which is necessary for growth. Whether you want to pick up some mix matching pieces of furniture or add uniquely colored pillows, fun furniture gives the area a tropical feel. You want to feel as if you stumbled onto a fun patio something in the Caribbean’s. Fun furniture creates an inviting space where your friends and family will want to gather together. Hammocks scream “come lay in me and relax,” which is exactly what you want to do after a long day at work. Place one or two hammocks throughout your backyard, bonus points if you can find a hidden spot in your yard for one of them! That would be the best place to take a nap. An oasis needs privacy but putting fence up around your property will be expensive. Fences cost so much! Instead, try some different choices like tall shrubs to block other homes. Trees can add privacy as well. You can hang drapes and curtains around your pergola or awning, and you can close the drapes when you want a bit more privacy. Another choice is to add tall native grasses in tall pots, which can be placed around your backyard. As the sun sets, lighting a fire is satisfying. 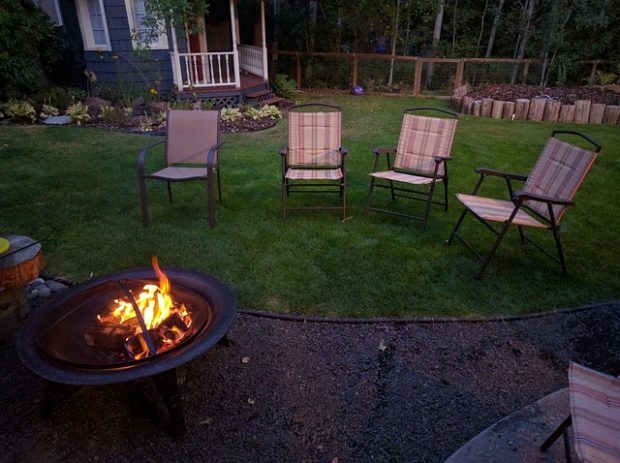 You can roast marshmallows or simply enjoy talking to friends around the fire. A fire pit is so cozy and relaxing! Sitting outside is relaxing, but you still want to have some lighting as the sun goes down. Try to avoid large spotlights. They will attract large bugs and it won’t feel so cozy anymore. Instead, try scones for your grilling area, and string up lights around your sitting area for a soft glow that won’t disturb the oasis feel. You also may want to light up your pathways to avoid tripping hazards. Simple is fun! Adding a tree swing requires a rope, board, and a few tools. If you have kids, chances are they will use the swing several times! If you don’t have kids, that doesn’t mean you can’t benefit from a swing. Chances you will be happy you decided to add one! 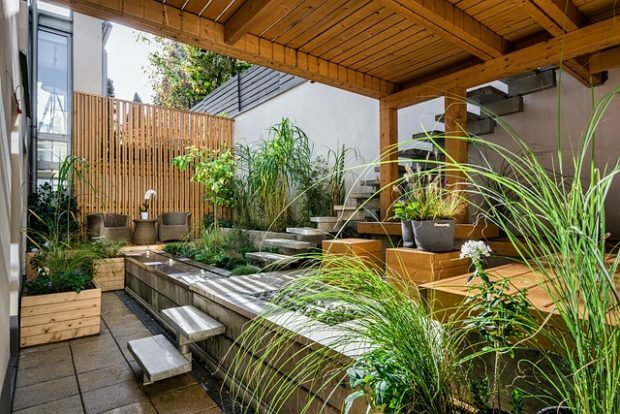 Transforming your backyard into a tranquil outdoor oasis doesn’t necessarily have to cost a lot of money. With a bit of creativity and ingenuity, you’ll feel as if you stepped out of your vacation home each time you walk outside your home.